January 10, 2019 by Ferris Bueller NESmaker is here! Do you want to create your own NES game without writing a single line of code? Traditionally, the only way to create NES games was to learning 6502 assembly language and how it interacts with the NES hardware via Nerdy Nights. But The New 8-bit Heroes introduced the world to NESmaker. What began as a tool to help people build their own game slowly turned into a very capable GUI front end which can export a file that can be flashed to a cartridge in one click (and played on emulators too)! Of course, for those of you who are interested in or experienced with ASM, as with other game development environments, you can write your own code to do even more advanced things with the NESmaker. 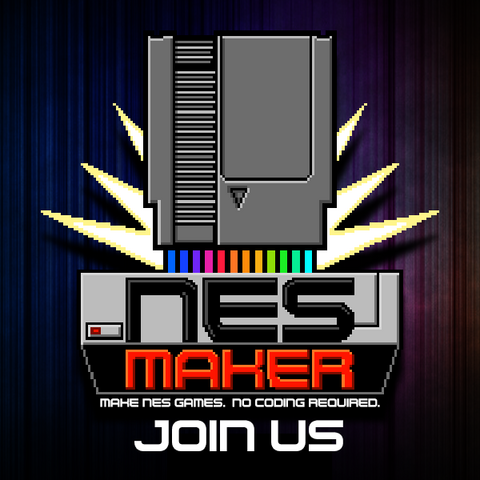 You could even write a complete custom engine from scratch and simply use NESmaker as an asset and script manager. But for those of you who would rather skip the technical part, you can start seeing your ideas come to life on the system in minutes.